Wake up to a different world, in a hotel room unlike any other, with a view of the waters and fancy yachts. Book direct to enjoy 10% off. 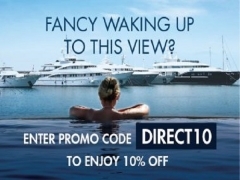 Check out One°15 Marina Club for more details about this offer and to book your accommodation now!